This red hot summer shows no sign of letting you and once again we have added to the soaring temperatures with another cracking joint venture offer. 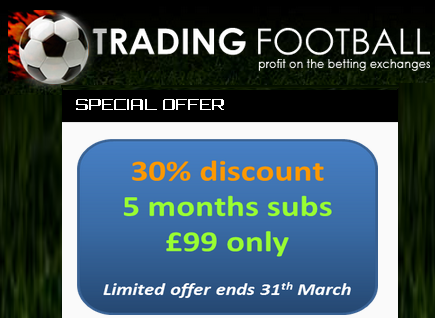 This time we have teamed up with leading sports trader Jack Birkhead, creator of the brilliant Sports Trading Journey, to bring you a fantastic one time only offer. I will let the man himself fill you in with all the details, so over to you Jack…. It looks like another sizzling day ahead of us in the new hottest holiday sunbathing destination in the world…the UK. After hours of crazy rain last night, I’m amazed to wake up and see yet some more sunshine! Keep it coming is all I’m saying! 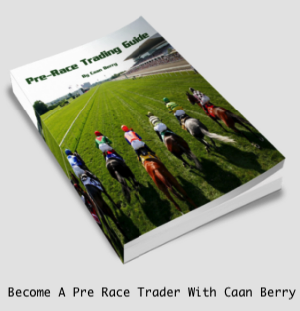 Ever since I took The Sports Trading Journey off the market late last year after concentrating on more of the hands on training sessions, I have been getting regular requests from people asking whether they could get their hands on the online training course. This offer ends on Saturday 3rd August at midnight, and you will not see The Journey course priced this cheap ever again in this current fully unlocked course format. So like the man says, just click above to find out more but remember the offer must end on 3rd August. And if you are already an Oddsmatcher Pro subscriber (and why wouldn’t you be), then the extra 6 months will be automatically added to you current subscription. Right then back to sunshine! You can also now sign up for Jack’s FREE Training Series, which reveals how to begin your new career trading successfully in the Sports Betting Exchange Markets. Free videos and PDF downloads are also included…. Well this summer just keeps on getting better and better. Great sporting action. Great weather. And now a truly great offer for everyone. Yes bet72 have teamed up with Geeks Toy, the provider of the most popular betting exchange trading software, to bring you the hottest thing you will find this summer. Don’t delay as this offer can only last until our medication fully kicks in as we cannot hold this crazy deal forever. Well until 31st July to be precise. So what do you get…. 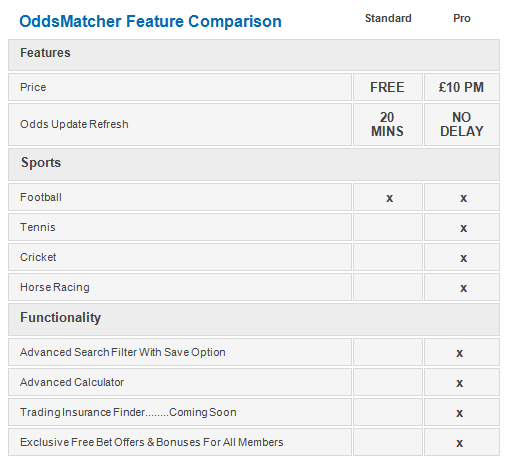 Oddsmatcher Pro brings you instant live odds feeds covering all the major sports markets from over 40 bookmakers, to allow anyone to maximise their potential risk free betting profit as well as finding the very best prices at the click of your mouse. Day in, day out he software helps users make consistent profits from traditional matched betting, a whole host of existing user offers, offers enhanced trading options and even arbitrage opportunities. If you are serious about making profits from bookmaker offers and the betting exchanges alike then these are the must have pieces of software to have at your disposal. Remember this offer is only available between 15th to 31st July and once it is gone it is gone. So what are you waiting for to get your hands on this fantastic bundle, just click the Buy It Now button below. It will be your smartest move of Summer 2013. See you on the inside….. But if you would like to find out more about just what this software can do then do please take a look at these…. We all know it is important to have the right tools for the job and for making the most of the bookmakers odds & offers there is one essential bit of kit to have, Oddsmatcher Pro. Yes our flagship software product has been getting rave reviews left, right and centre as it really is the quickest and easiest way to maximise anything & everything that the bookies throw at you. As you probably know we don’t do trial access to the software but not everyone wants to take the plunge for the full month so we have a little special offer to give everyone a chance to see what this bad boy can do and make you a few quid at the same time. With so much going on there has never been a better time to have this software at your disposal. Royal Ascot, Confederations Cup, Euro U21, ICC Cricket, Tennis….etc….etc…., you’ll probably make the cost back anyway with your first wager, so there really is nothing to lose. As I am sure you know we have the biggest and bestest offers list on t’internet (see here) and actually so many for Royal Ascot that we are just setting up a dedicated micro site just for that. 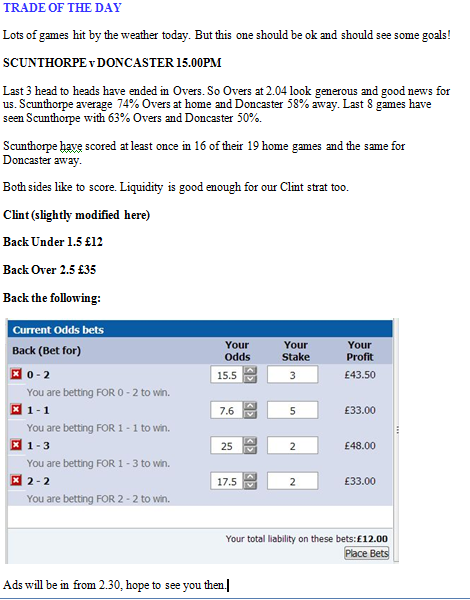 So with Oddsmatcher Pro ready to go you’ll hit the ground running and start profiting immediately. We have teamed up with the legendary Betfair trader, Tony Hargraves (aka The Badger) who has just launched a brilliant new website, www.thesportstrader.com and he has kindly given us the first 2 brilliant prizes…. Yes we will stick 3 more months on the end of your current subscription for free. That will keep you profiting right through the summer and beyond! A random draw of all the current registered subscribers to Oddsmatcher Pro will be made on 24th June at 10:00AM and the prize winners will be notified thereafter. And even if you are not a winner don’t worry as to celebrate the launch of Tony’s site we have some exclusive discount codes off the books and memberships, just our exclusive link below and enter the promo code bet72-20 and you will get 20% off everything on the site, nice. Anyway to get your hands on Oddsmatcher Pro for this one time crazy price and to get in the draw draw too then just hit the BUY NOW button below and look forward to 10 days of profit, profit and well more profits…. And if you want to find out more about just what this software can do then do please take a look at these….